In the first part of the series I told you how we keep Sam safe, then the second part was about how to keep an indoor cat engaged and exercised – the third and final part is how to feed my feline friend. Sam is a spoilt cat – he gets fed a really varied diet and because of that he is a very good eater, who would eat almost anything (except chicken with pumpkin, that’s one flavour he doesn’t like). There are three types of cat food: dry food, semi-dry food and wet food. Most owners feed their cats a mix of dry and wet food. I usually feed Sam wet food now, as dried food can be problematic (you can read more online, but it basically processed food that is dry and can get spoilt easily if it is stored incorrectly). Also Sam just swallows it, so it does not clean his teeth – which is one of the typical claims of dry cat food producers. 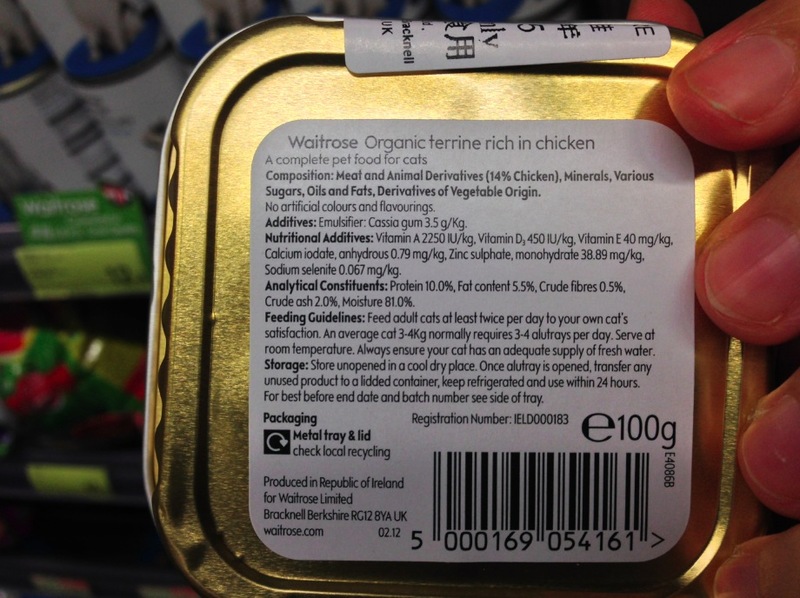 Cat food is required to show its nutritional analysis on the label. This guaranteed analysis lists the maximum or minimum percentage of protein, fat, fiber, moisture, taurine and ash and it varies from brand to brand. The ingredients are listed by amount with the greatest amount first and least amount last. Meat by-products are the bone, intestines, and marrow of animals. These by-products may sound awful but they are a very important part of good cat nutrition. Still, I prefer brands that tell you the exact ingredients as opposed to those that just list ‘chicken meat’ as key ingredient. Ash is an indicator of the quality of the meat used to make the food. It is the mineral content left over after cooking and consists of sodium, potassium and magnesium along with smaller amounts of other minerals. The better the quality of meat used, the lower the ash content will be. Check also for the taurine content, which is important for cats – if they don’t eat enough taurine, they might suffer blindness and heart disease. Good cat food will have at least 0.02% of taurine or more. Cat food should also be approved – and I decided to follow the AAFCO requirements. AAFCO stands for Association of American Feed Control Officials. The AAFCO establishes specific standards for animal feed. 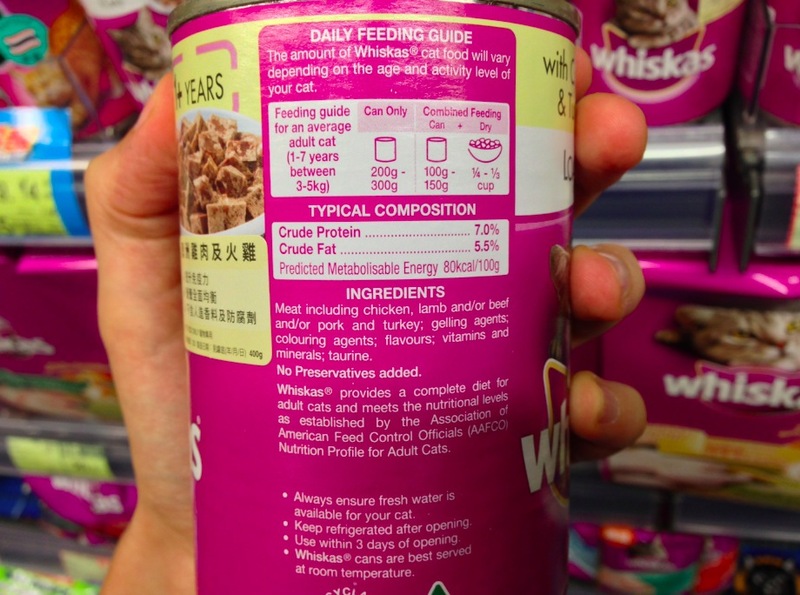 It is not saying that this food will be the best for your cat, but I trust it more than some of the Chinese/Thai food brands you can purchase in Hong Kong. We got Sam when he was about eight weeks old, and in the beginning I fed him small pieces of boiled chicken breast and some dry food – I used the brand that he has been brought up with, but once that bag was finished, I quickly switched to a different brand. Why did I do that? Well, I had read the label. I didn’t like that the dry food included lots of carbohydrates and hardly any protein. I wanted to switch Sam to a grain-free diet, because I believe that’s healthier and better for him. Cats are designed to eat a diet rich in meat. They thrive on protein and the introduction of fillers like corn and wheat mean that each bite of food that they take contains less nutrition and more starches that can cause bloating and digestive issues. So I switched Sam to a grain-free diet – he ate Wellness Kitten Complete Health dry food and Wellness Kitten Canned Food, which includes chicken, chicken liver as well as fruits and vegetables that he needed to strengthen his muscles, bones, organs and cells. After Sam was neutered at six months of age, we had to switch him to proper adult food and made sure that he only ate a normal portion – neutered male cats are known to overeat, especially if they don’t move much indoors! I tried a few brands and realised that I like Wellness and Natural Balance best – they include real meat, fruits and vegetables but no artificial flavours, colours, corn, wheat, soy or by-products. Sam loves the Wellness CORE grain-free series and is a big eater of the chicken, turkey and chicken liver formula. He also enjoys their wet pouches, as they contain enough liquid to keep him going – I usually purchase a mix of the tuna, chicken & chicken liver, turkey & chicken and salmon & tuna pouches, as Sam likes all of them. From Natural Balance, I purchase the duck & green pea and venison & green pea cans. This gives Sam a nice alternative to all the chicken and turkey he usually eats. The Natural Balance cans are part of the limited ingredients diet (LID) which Sam does not need, but I like to feed him a healthy grain-free diet and want to ensure he eats different types of meat regularly. In addition to purchased food, I give him steamed chicken breast once every two weeks – just because I know he loves it and it is his childhood memory. Plus that’s easy to prepare when I’m making dinner for us anyway, I just steam some chicken for Sam, knowing that he’ll have some good quality free-range meat too. As you can tell, he is a spoilt cat! I always add a few drops of water to his wet food – he’s never drinking water from his bowl and I fear that the air conditioning or dehumidifier will dry him out. How do I check for his hydration? I lightly pinch the skin over the neck – if it snaps back, he’s well hydrated – if it stays pinched or tented, he’s dehydrated and needs to get to the vet! Also, he does not get any treats – I know that you can use treats to aid him in training and stimulate his appetites, but that’s not a problem I have with Sam. He is always keen to learn, so no treats for him! What tips do you have to share, how do you look after your indoor cat? In case you are wondering, neither I or Sam are sponsored by or affiliated with any of the brands mentioned in this post, these just happen to be our favourites. 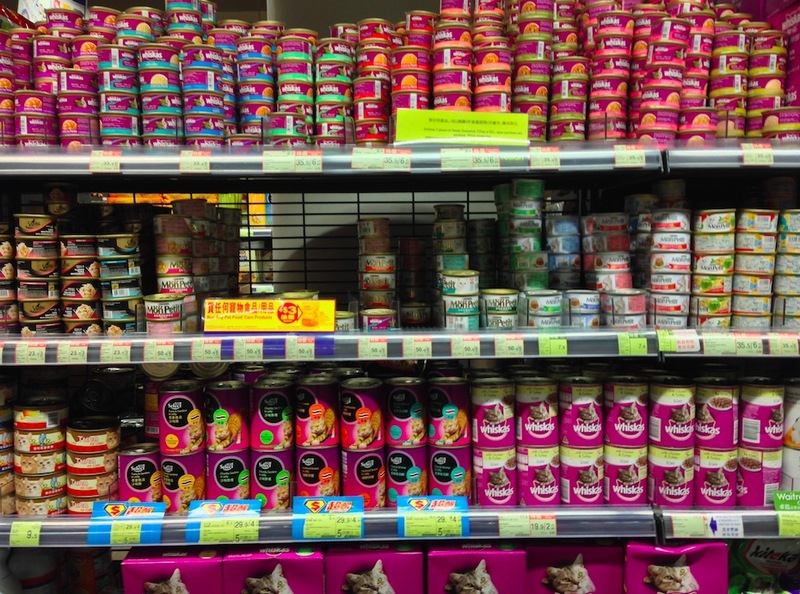 We get them from PetProject Hong Kong, because that’s the most convenient way to get cat food delivered. 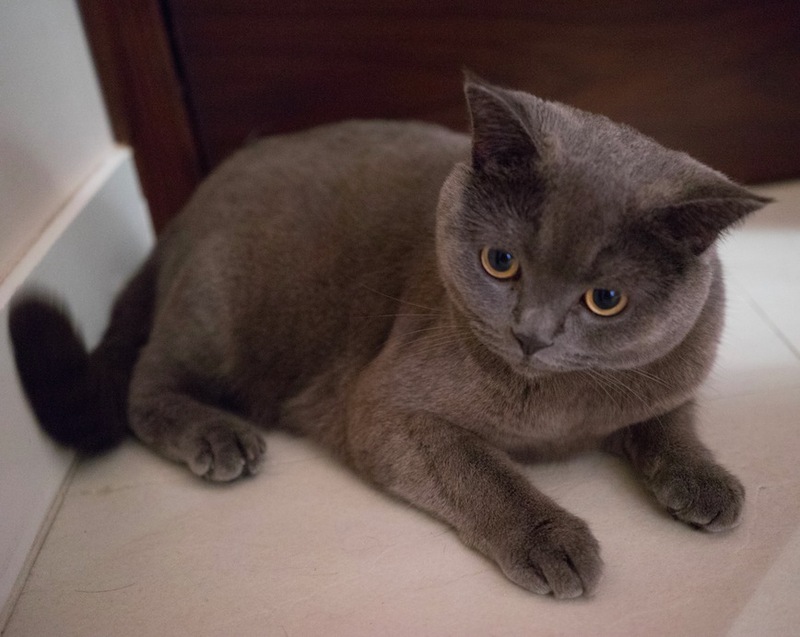 Also note that I’m not an expert in cat care – so there might be some mistakes in what I’ve written above – feel free to point them out to me, I’m happy to learn more about looking after Sam properly! Very informative post, Ruth. Sam is indeed spoiled! But in the best possible way. Your routines and discipline impress me, by the way. Oh, how I miss (my) cats! Hi Ruth, my Sam used to eat Wellness also and he loved it. But when the vet found crystals in his urine I had to switch to Science Diet KD. He gets wet food in the am and pm and at night he munches on the dry food. Also, like you, I add a little water do his wet food. The vet advised me to give him as much water as I can. Of course since he is an indoor/outdoor cat I can control what he drinks in the house (distilled water with Mineral added) but outside he drink out of the birdbath! So I have to make sure it get’s cleaned every day! He has waterbowls all over the house: in the bedroom 2, in the bathroom 1, in the kitchen also 2, And I see him drinking out of everyone. He is also spoiled! 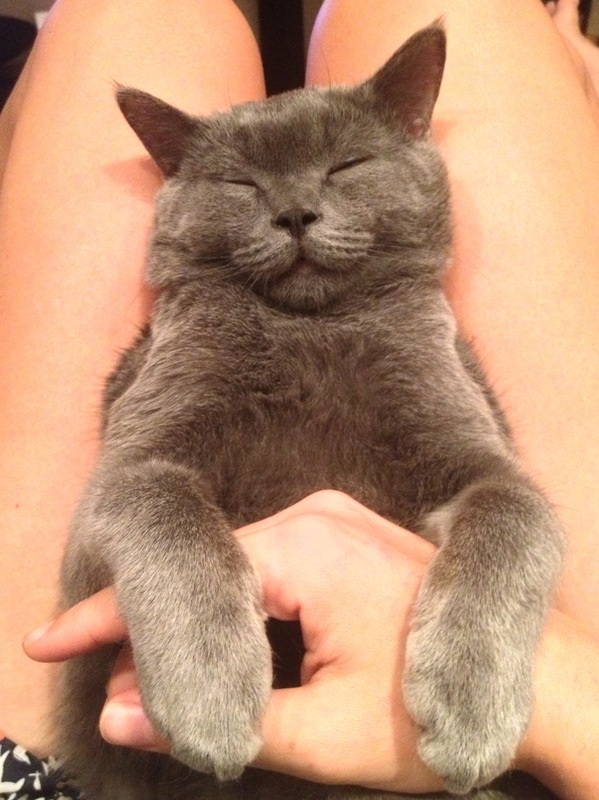 Your Sam looks like a happy, healthy cat and is lucky to have you as his mom. Did you see the email I sent you about the cat with the strange sounds? That is the weirdest noise I have ever heard a cat make! How are you feeling? Everything ok? I hope so. I think of you everyday, wondering how you are doing! Much love to you, Patrick and Sam! Sam likes ice cream, whipping cream and yogurt also and I let him have some. If I have an ice cream cone he licks one side and I lick the other. I KNOW that is a NO-NO, but he is happy I am happy and he Vet just smiles., She says just don’t overdo it and I wont. He also gets a share of my broiled fish (he loves Halibut, Salmon and of course Tuna.) I share my dinner with him. I know all of that is not right, but I love him and he is healthy, except for the crystals in his urine. His check up is always good. And he hunts outside and brings his treasure home. He is skinny, thank goodness, so I don’t have to worry about his weight. Only Vets sell the Science Diet for medical reasons, the ordinary Science Diet you can get in any Pet Shop here. Sam’s food is for his crystals and they have not returned since he eats this food primarily. I have worked many cat shows here in town (we volunteer, cleaning the cages etc) and I have learned a lot about cats from the breeders. Some only feed them only raw meat, I don’t know about that. I have seen Sam eat a chipmunk and I had to get away or I would have thrown up.